Description Zombies have taken over and destroyed the Metropolis - luckily you were never much for city folk. 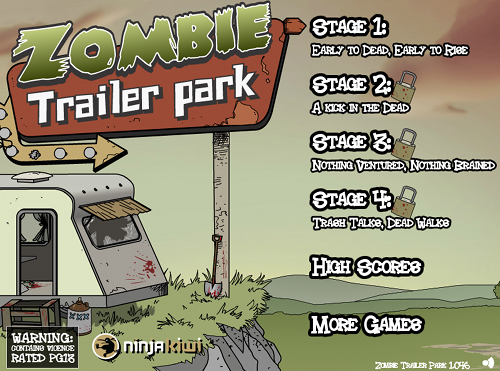 But now the zombies have turned their sights on your trailer park! Manage your economy and train fighting units to defend your trailer park. Gather "Yee-Haw" power to activate super weapons. Submit and share your best stage times with your friends. Here come the zombies! Go go go!